Any Londoner of a certain vintage (and a certain budget) likely remembers the little cluster of Korean restaurants tucked around the back of Tottenham Court Road. Just next to the guitar shops of Denmark Street, these were a student favourite: a place to pick up a pot of tea, fried chicken and a stone bowl of Bibimbap at a price that wouldn’t break the bank. Then the developers moved in, the old station was demolished, Google wanted a new HQ and the small-time Korean restauranteurs were brushed aside. A, for one, was disappointed. However, over the last little while, as the development has continued, some of the units have reopened and happily, the Korean restaurants are back. The new eateries have a rather different vibe, featuring fresh interiors and floor to ceiling glass, rather than the dark wood and low ceilings of their predecessors. One of the recent arrivals is the SuperStar BBQ, which sits on the Central St. Giles plaza and bills itself as being a modern twist on traditional Korean food. Its focus, and the centrepiece of each table, is a Korean grill. This is a sunken hot plate in the middle of the table, on which you can cook morsels of meat and vegetables yourself. Essentially the concept is to bring Korean food, which is still not that well known or understood in London, to diners who may not have experienced it before. As such it offers two slimmed down all-English menus – one for lunch and one for dinner – which showcase highlights of the cuisine. 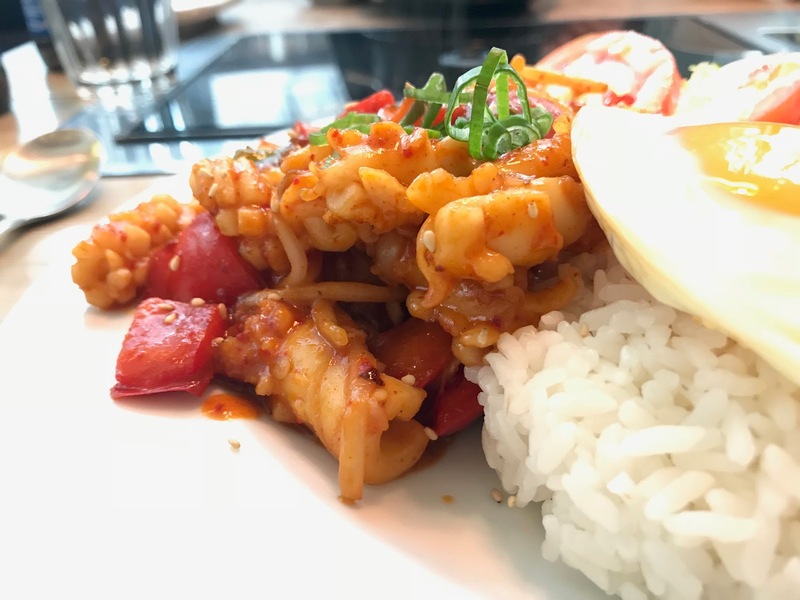 Chili squid - This packed some punch! We were invited to try SuperStar BBQ out for a Sunday lunch and we graciously accepted. We did not order starters per se, as there didn’t appear to be any on the menu, so we ordered a few sides to make up for it. First to arrive were the traditional mandoo, shallow fried dumplings shaped like little Cornish pasties. 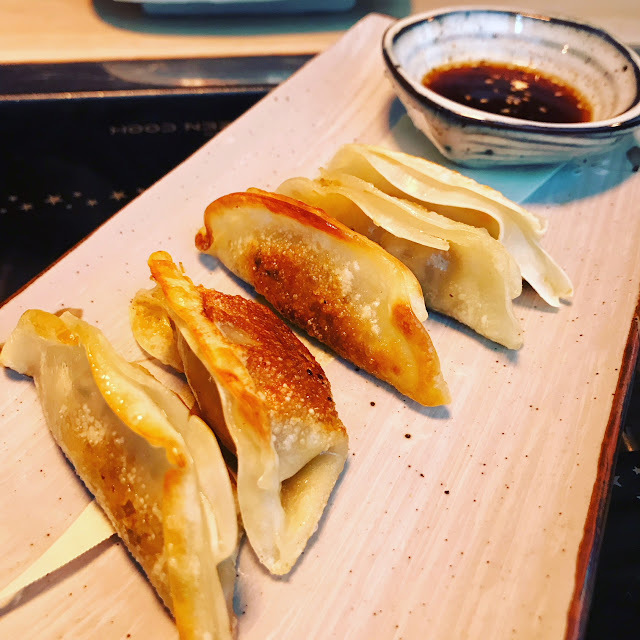 We ordered the vegetable and chive version and they hit the spot: crispy on the outside, hot and salty on the inside with a strong herbal flavour and big umami hit. These disappeared pretty rapidly, and we were considering ordering another round. Next to arrive was “KFC”, which stands for Korean fried chicken. 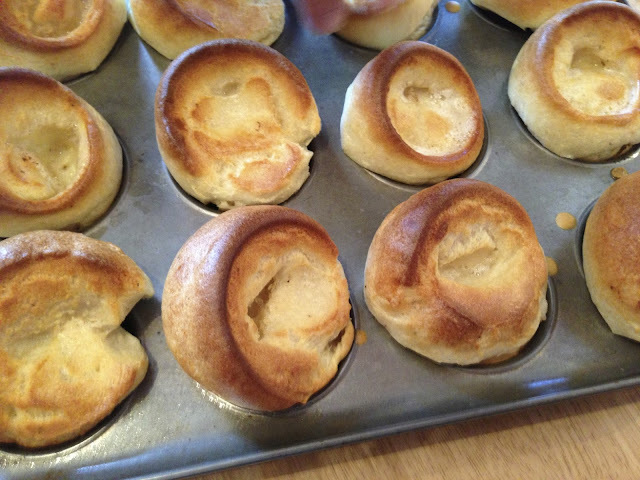 This really was very good: crunchy on the outside, hot and soft on the inside, and just the right amount of sticky sweet sauce to make them oh-so moreish. Surprisingly, they came with a side of what tasted like pickled daikon radish, which, being cool and a little sour, was a refreshing contrast to the sweet chicken. We’ll take more of these any time! The final side was a kimchee pancake. We ordered this with a little bit of trepidation as C in particular finds the pickled cabbage dish a bit much. 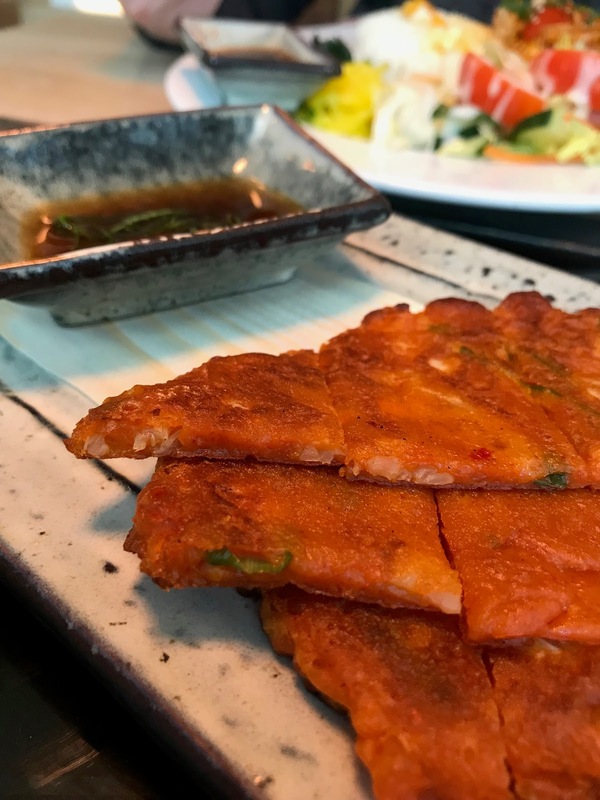 However, the distinctive kimchee taste and smell weren’t at all overwhelming and the pancake pieces had soft texture and had a very pleasant balance to them. Then came the mains. We avoided the grill, as we were feeling lazy so went for kitchen prepared options. C ordered a bibimbap: a mixed rice dish that is a Korean classic. Typically it comes served in a pot and contains a multitude of vegetables, soy and chili paste, meat and an egg. C chose a tofu version rather than the classic beef. The mix of ingredients made for a fresh and interesting combination of flavours. All round, this was a really well done bibimbap. A went for a “lunch plate” with chili squid. This was a veritable smorgasbord of stuff: rice, an egg, a portion of salad, a variety of pickled things, two more dumplings and a big pile of squid which had been marinated in a hot chili sauce. The salad, rice and egg were all as to be expected, and we have already given our take on the dumplings, but the real stars were the pickles and, in particular, the squid. This wasn’t overdone (which is all too easy) and the marinade packed quite a punch. A is a big fan of hot food and this didn’t fail to deliver. It wasn’t so hot as to be overwhelming, but A was left in no doubt that the dish contained chili. All of this was washed down with a brace of Korean beers. 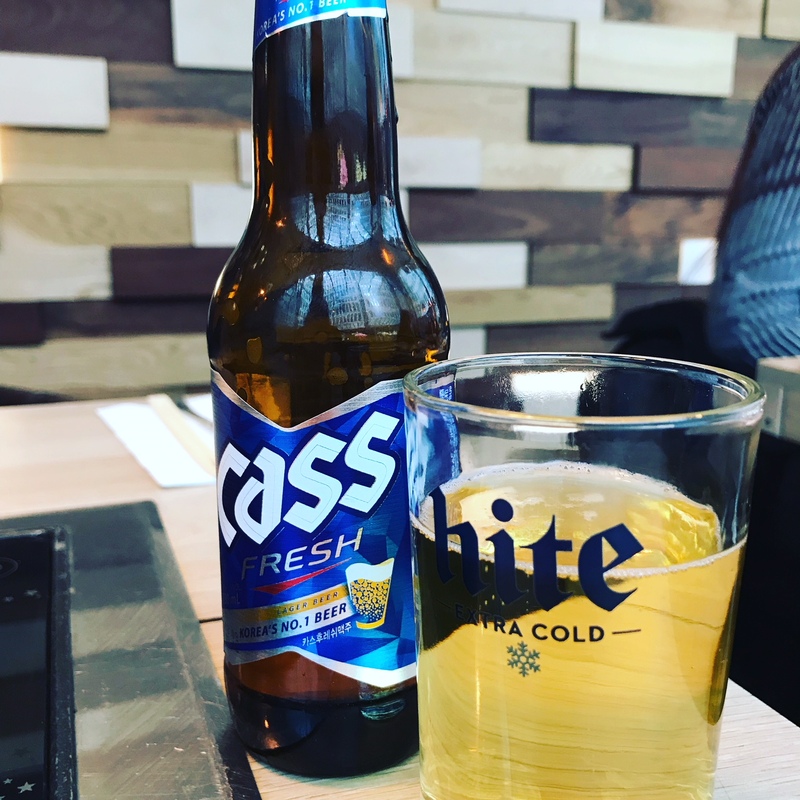 A thought it was insipid but C thought it was perfectly pleasant and we’re not going to hold the restaurant to account for Korea’s domestic beer scene. If we had one other criticism, it would be the slightly spongy nature of the pancake. Admittedly, we don’t actually know what we’re doing with these and that may be the way they are, but we were expecting a little more crunch than we encountered. These are minor things though, and overall we were very impressed, especially as the place doesn’t break the bank. At around £20 per person, we came out feeling very much like we’d more than eaten our fill. A main and a side is probably all you need. A big thank you to SuperStar BBQ for treating us to Sunday lunch. When we’re next in the area, we’ll be back as paying customers. You can check out their website here. A word to the wise, they also have a karaoke booth!